As many as eight children died after being left unattended in kindergarten community vans in the past decade. The news of children dying of possible hyperthermia after being left in locked cars has shocked people. But is the act of locking children in cars a crime or just a negligent behavior? The answer would depend on the person responsible. According to media reports, from 2006 to 2015, eight children died after being left unattended in kindergarten community vans. In all the cases, the kindergarten principal, teacher on duty or the driver was charged with negligent homicide, for which a person can be sentenced to three to seven years in prison. In such cases there is no dispute over the mode of settlement. However, when a parent locks his/her child in a car, the case becomes different. So far, no parent has faced investigation or charges, because every parent loves his/her child and suffers the most on losing it. Also, losing a child is already heartbreaking for a parent and if he/she were charged with criminal neglect, it would make life difficult for the other spouse and the other children (if there are any) in the family. According to Chinese tradition, raising and taking care of children is a private matter decided by parents. But of late, some changes are taking place. With wide news coverage of child abuse by parents, the public has realised that some parents may endanger their children's health and even life. Since such parents are not fit to raise children, the government has to intervene. Beginning from last year, a parent who causes serious harm to his/her child's physical or emotional health may be deprived of custody rights. But incidents such as parents leaving their children in locked cars still remain a gray area in law, so no parent has been held accountable for such an act. Such is the situation that even if a police officer on patrol sees a child locked in a car, he/she tries to contact the parent instead of directly helping it for fear of facing damages claim by its parent. It is unfair that a driver is punished for violating traffic rules but not for leaving his/her child in a car for hours, which could result in death. Children are not only the darlings of their families but also a nation's treasure, and the government, too, is responsible for their safety and good health. With news of more children being locked in cars hitting the headlines, the government should pay greater attention to child safety. All drivers have to be made aware of safety rules and should learn how to protect a minor in car. In fact, this should be made part of the safe driving code and the traffic law could be amended to make the act of leaving a child alone in car an unpardonable offence. More importantly, those violating such rules should be penalised, through fines, demerit points and/or community service. They should even be compelled to take the driving safety course all over again. And repeated offenders should be punished more severely. Besides, law enforcement officers should be empowered to help a child locked in car by taking necessary measures and should enjoy immunity from any potential civil claims. In case a child left by a parent in car dies, police must launch a criminal investigation to determine whether the parent has committed a crime. In some extreme cases, a parent or parents may want to get rid of a child for certain reasons, and this possibility should be ruled out only after a thorough investigation. Only after such rules are enacted can children's safety on wheels be guaranteed. Exploration is the key to future oil and gas production. Successful exploration starts with proper data acquisition and geological evaluation of the whole block, followed by the drilling of a few wells, hopefully with at least one discovery. In Indonesia, it takes about 10 to 15 years from the initial exploration to the first production. Historically, the chance for exploration success is about seven to one. Typically in Indonesia, oil and gas contractors spend a minimum of US$5 million (S$6.8 million) - for an onshore block) - to $30 million - for a shallow water block - during the whole six years of the exploration phase. All exploration risks and costs incurred are solely borne by the contractors, to be reimbursed only when production starts. The Energy and Mineral Resources Ministry has established the National Exploration Committee. One of the non-technical problems that readily challenged this committee is the case of the land and building tax (LBT) on the concession areas of companies still in the exploration stage. For years, under the production sharing contract (PSC) terms, the contractors liable for income taxes, either personal or corporate income tax, included therein the dividend tax. Other taxes such as value added tax on purchased or imported goods used to conduct petroleum operations is paid on behalf of government. Since the government assumes and discharges all the taxes mentioned above and the retributions imposed, contractors will get reimbursement against production. In December 2010, Government Regulation No. 79/2010 was enacted. It regulates recoverable operating costs and income tax treatments in upstream oil and gas. The new regulation becomes the framework of the next generation of PSC terms and conditions. After Government Regulation No. 79/2010 the government will no longer assume and discharge any taxes outside individual and corporate income taxes. This change has an impact on the overbooking mechanism of the LBT in the blocks awarded from the year 2011 onwards. Nonetheless, no explanation regarding the LBT and its magnitude was prepared by the tax office. As a consequence, the oil and gas industry was shocked when LBT assessments were given for exploration blocks in the middle of 2013. For example, a company with an offshore working area of about 8,000 square kilometers was taxed $26 million, or equivalent to Rp 316 billion, for the 2012 to 2013 financial year, which breaks down to $25.82 million for the surface tax component and $0.180 million for the subsurface tax component. The LBT was imposed on the whole working area instead of just the utilised parts, even though the company, as contractors, never owns the offshore area (the owner remains the government and the companies act only as the contractors). This extraordinary amount is quite irrational as it far exceeded the total cost for petroleum exploration operations for the whole six years of the exploration phase, which for that block amounted to about $18 million. With such a huge amount, it is unlikely that the company, or in this case any oil company, will be able to maintain its economic threshold, thereby increasing the exploration risk of their specific block. After several discussions, the Upstream Oil and Gas Regulatory Special Task Force (SKKMigas), the Directorate General of Oil and Gas (Migas) and contractors and the Directorate General of Taxation (DGT) indicated potential errors in the calculation of the Tax Object Notification Letter (Surat Pemberitahuan Obyek Pajak - SPOP), which arguably led to a miscalculation of the LBT surface component and hence resulted in such an extraordinary figure. A consensus was then reached to revise and resubmit the SPOP. As follow up, the DGT issued Circular Letter (SE DJP 46 Tahun 2013), which provides guidance in filling out the SPOP. With this specific guidance, contractors revised and resubmitted the SPOP through SKKMigas. In response, the DGT Office originally planned to issue the revised Notification of Tax Due (Surat Pemberitahuan Pajak Terhutang - SPPT), paying special attention to the surface component. Nonetheless, the resolution as promised by the DGT was not implemented. After contractors resubmitted the SPOP following the Circular Letter, the DGT never issued the revised SPPT and against instructions from SE46 no change was made to the very large amounts of the imposed LBT. As there was no certainty on the resolution, all affected contractors filed tax objections and the DGT office responded by issuing rejection letters in the fourth quarter of 2014. Having no other alternative left, contractors proceeded to appeal the case to the tax court later in 2014 - each of them on an individual basis, block by block. On Dec 31, 2014, aiming to support the mining of oil and gas at the exploration stage, the minister of finance issued Regulation No. 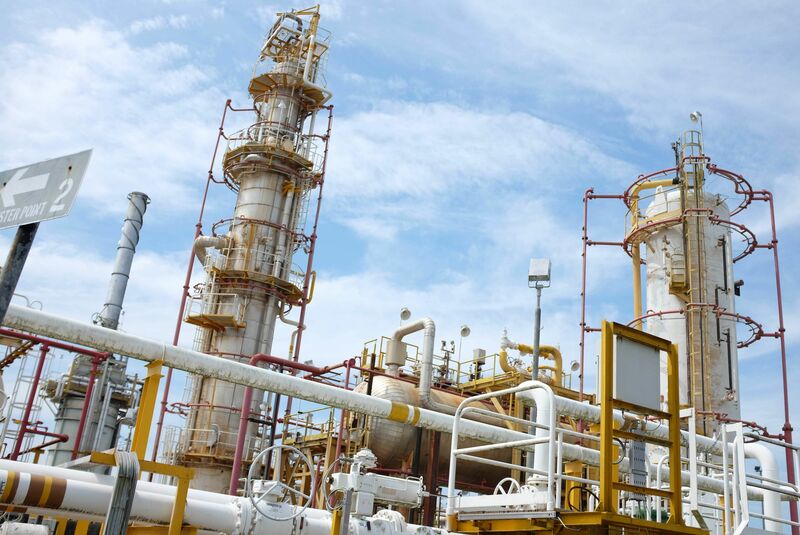 267/PMK.011/2014 (PMK 267) that provides LBT reduction incentive for the oil and gas sector. It is granted on the sub-surface component and can amount to up to 100 percent of the LBT due on that component. The incentive is unfortunately only applicable for the year 2015 onwards and is not retroactive. The issuance of SE 46 circular as well as PMK 267 ministerial decree by themselves expressed the inaccuracy in the LBT application on the oil and gas exploration. This view was also actually shared by Finance Minister Bambang Brodjonegoro when he gave his opinion to the BeritaSatu news service in January in his office, stating that "We are actually wrong in imposing LBT tax on the exploration phase. How can we impose tax on something that does not exist yet?" Furthermore, we believe contractors actually do not qualify to be taxed since, as contractors, they do not own the tax object (in this case the land/water and building), the government does. During the exploration phase, contractors do utilize the land/water to acquire data, but only an extremely limited area of it. This issue has impacted the industry as can be detected from the decrease in the number of exploration efforts. In 2013, the number of exploration wells that were actually drilled was 101, much less than the 258 wells planned. While in 2014 the number of exploration wells that were actually drilled dropped to 83 from the 250 planned. In 2015, some contractors decided to give up their exploration efforts in Indonesia. Again, a lack of success in exploration means all investment is lost and such punitive taxes can never be earned back. This, of course, is not in line with the Presidential Decree No. 2 of 2012 concerning an increase in national oil and gas production. At present time, the affected contractors are involved in multiple appeals in the Tax Court rather than out searching for oil and gas like they should be. Their management and shareholders are confused about how such a mistake could take place for such a long period and wonder what the future might bring. Oil and gas activities are long-term investments and thus legal certainty in the oil and gas industry is a necessity. With the absence of legal certainty, the investors would shun upstream oil and gas investment in Indonesia. Consequently, no new reserves will be discovered, production of oil and natural gas will continue to decline and the country will lose many jobs and potential revenues from the oil and gas sector. It is vitally important that the ongoing Tax Court consider the background history of 2012 and 2013 LBT assessment as well as the accuracy of the LBT application in oil and gas exploration to help the government regain contractor trust so they continue their tireless effort to explore and discover the mineral treasures of the country. The prosperity of the nation depends on this treasure. The writer is chairman of the National Exploration Committee. This is personal view. The Iran negotiations suggest that despite major differences China and the United States can work together when their interests coincide. The historic agreement reached by the world's major powers and Iran on that country's nuclear program marked the Obama administration's biggest diplomatic achievement in six years. China was one of the P5+1 countries negotiating with Iran. What was its role? China's position on Iran has always been quite different from that of the United States. While Washington pushed for sanctions to punish Iran and to bring it to the negotiating table, China and Russia were generally opposed to both economic sanctions and to maintaining an arms embargo. Beijing itself had in the past been accused by Washington of proliferation activities and Chinese state-owned companies were repeatedly threatened with sanctions, including for activities involving Iran. While the United States maintained a trade embargo on Iran and imposed financial sanctions on countries that purchased Iranian crude oil, China continued to do business with Iran. In mid-2013, the United States announced that several countries, including China and India, had been exempted from financial sanctions because they had reduced their purchases of Iranian oil. Evidently, however, all the P5+1 countries - the United States, Britain, France, Russia and China plus Germany - were opposed to Iran's acquisition of nuclear weapons. Their willingness to set aside differences on other issues was vital in presenting Iran with a united front of world powers. Russia, for example, which has been sanctioned on the Ukraine issue, did not attempt to link that with Iran. In fact, according to a senior American official who briefed the media when the accord was announced, the Russians, "to their credit, have been very focused." The unnamed American official added: "I think many people believed ... we wouldn't be able to hold on to the arms restrictions, we wouldn't be able to get any missile restrictions whatever. And indeed, we accomplished both." And this was despite the fact that "two of our partners believed that there should be zero arms restrictions from day one," which was Iran's position. The official did not name them, but the two were evidently Russia and China. The lifting of United Nations sanctions is expected to see many countries, very much including China, seeking business opportunities in Iran. Such opportunities will elude Americans since the United States will maintain its trade embargo on Iran, with certain exceptions, such as food and the export of civilian aircraft parts to Iran. 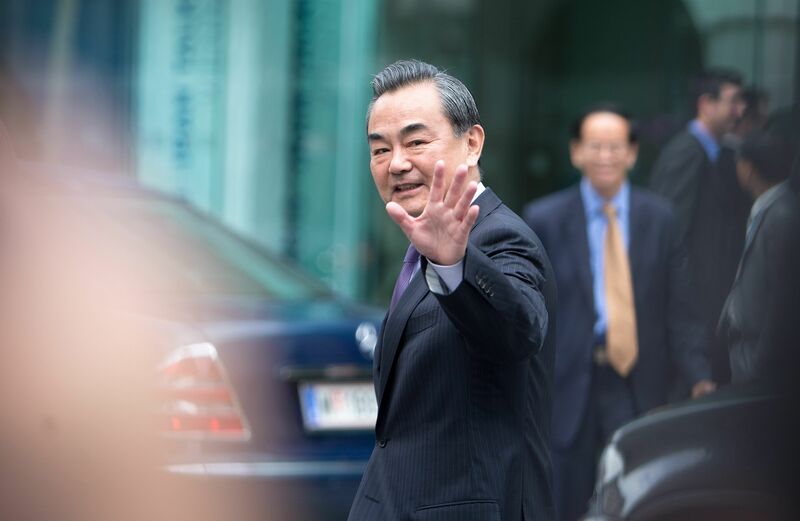 After the accord was announced, Chinese Foreign Minister Wang Yi said that, with the lifting of sanctions, Iran's relations with China and other countries would develop. In particular, he voiced the hope that Iran would take part in China's "one belt, one road" plan to revive the historical Silk Road, which he said would bring new vitality to the Iranian economy. Foreign Minister Wang also noted that China had played an important role in the negotiations and would play a key part in the implementation of the deal with regard to the modification of the heavy water reactor in Arak. The Arak reactor had been described as a possible "pathway" to a nuclear weapon for Iran by using weapons-grade plutonium. Under the deal, the reactor will be redesigned so that it cannot produce weapons-grade plutonium. Meanwhile, all the spent fuel rods will be sent out of the country. According to the Chinese Foreign Ministry website, Wang said that "China has put forward the idea of the modification of the Arak heavy water reactor ... This is the unique role China has played in resolving the Iranian nuclear issue." Wang said that "a joint working group consisting of the six parties and co-chaired by China and the United States will be set up." He added: "As China has put forward this idea of the modification of the Arak heavy water reactor, China would promote this process as initiator while enhancing communication with Iran." This is consistent with the wording of the Iran agreement. An annex to the accord says that a "working group" of the six participants will be set up "to facilitate the redesigning and rebuilding of the reactor" but it does not mention either China or the United States by name. The Iran negotiations suggest that, despite major differences over issues such as cyber security and the South China Sea, China and the United States can work together when their interests coincide. It is reassuring to see that, at critical moments, the major nations of the world, in particular the United States and China, can join hands to confront a common danger. The six-party talks on the North Korea nuclear weapons issue from 2003 to 2008 saw an improvement in Sino-American relations. The Iran nuclear weapons issue appears to be doing a similar thing.